I’ve always wanted to get off at this bus stop and today I had the time, although today was also the coldest day this year at about 5 degrees Fahrenheit (-15 C). 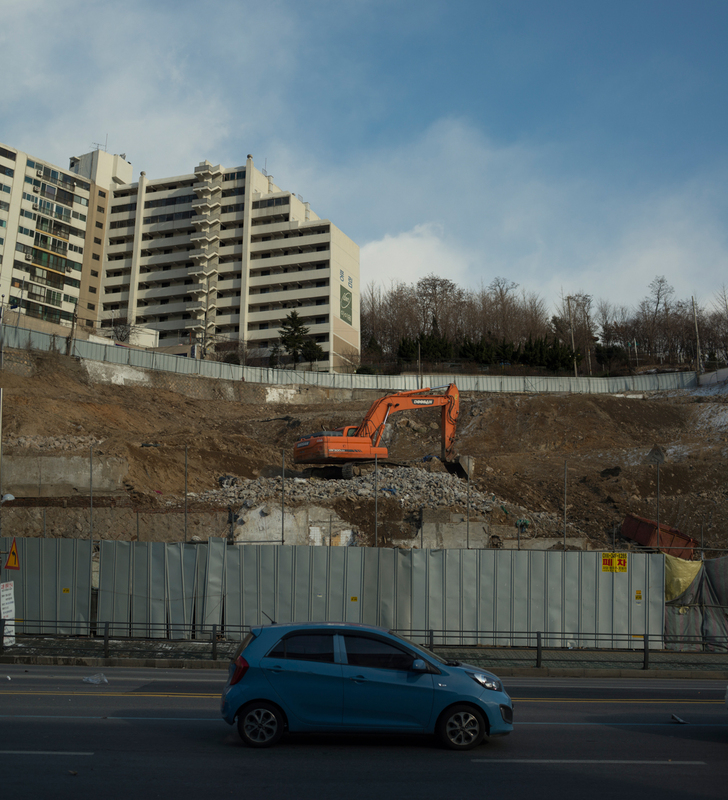 The scene intrigues me most because when I was in Seoul two years ago, and an image taken at this same spot would have revealed a neighborhood full of older homes all stacked up into the hillside. We’re talking mazes of streets and alleys, restaurants, shops, laundry hanging, miniature gardens, street vendors, all of it stacked up onto that hillside. It’s amazing, looking at it now. To think what a small space it actually is. 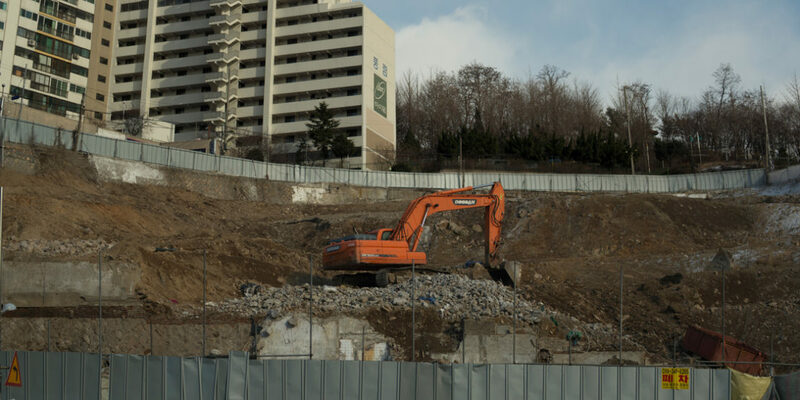 Within the next year it will be a few high rise apartments with few of the above details from the older neighborhood. On the positive side, the construction business is apparently booming.